TAPIZADOS MORADILLO, S.A., responsible for the website, hereinafter RESPONSIBLE, makes this document available to users, which is intended to comply with the obligations set out in Law 34/2002, of 11 July, Services of the Information Society and Electronic Commerce (LSSICE), BOE No. 166, and to inform all users of the website about the conditions of use. The RESPONSIBLE reserves the right to modify any type of information that may appear on the website, without any obligation to notify or inform users of such obligations, it being understood that publication on the website of the person responsible is sufficient. Company name: TAPIZADOS MORADILLO, S.A. Regardless of the purpose for which they were intended, the total or partial reproduction, use, exploitation, distribution and marketing, requires in any case the prior written authorization of the responsible. Any unauthorised use is considered a serious breach of the author’s intellectual or industrial property rights. The designs, logos, text and / or graphics outside the RESPONSIBLE and that may appear on the website, belong to their respective owners, being themselves responsible for any possible controversy that may arise with respect to them.  The RESPONSIBLE expressly authorises third parties to redirect directly to the specific contents of the website, and in any case to redirect to the main website of www.moradillo.com. To make any kind of observation regarding possible breaches of intellectual or industrial property rights, as well as any of the contents of the website, you can do so via email comunicacion@moradillo.com. This website may use technical cookies (small information files that the server sends to the computer of the person accessing the page) to perform certain functions that are considered essential for the proper functioning and display of the site. The cookies used are, in any case, temporary in nature, with the sole purpose of making navigation more efficient, and disappear at the end of the user’s session. Under no circumstances do these cookies themselves provide personal data and will not be used for the collection of such data. This website has been reviewed and tested to ensure that it functions properly. In principle, proper operation can be guaranteed 365 days a year, 24 hours a day. However, the RESPONSIBLE does not rule out the possibility that there may be certain programming errors, or that force majeure, natural disasters, strikes or similar circumstances may occur that make access to the website impossible. For the resolution of all disputes or questions related to this website or the activities carried out on it, Spanish legislation shall apply, to which the parties expressly submit themselves, and the Courts and Tribunals closest to MADRID shall be competent for the resolution of all conflicts arising from or related to its use.